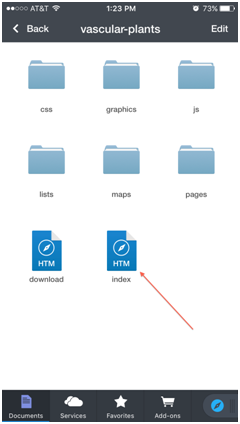 Installing and using the datasets on an iPhone or iPad may not be as simple as on an Android device or desktop computer, and may require the use of third-party apps to store and view local HTML files. Thanks to Gab Wisswaesser for providing the instructions and screenshots below. 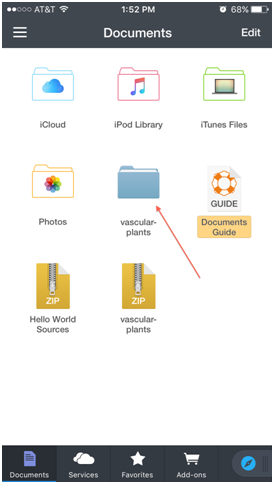 These instructions are based on the third-party app "Documents 5". Other apps may provide similar functionality and we do not endorse any specific apps. 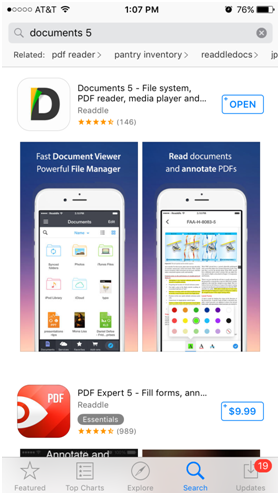 Download "Documents 5” from the App Store. 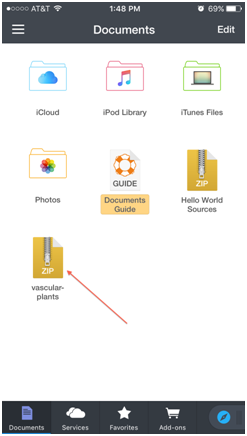 Use Safari on your device to select one of the datasets listed below (e.g., “vascular-plants.zip”). You might have to wait several minutes for the download completes. 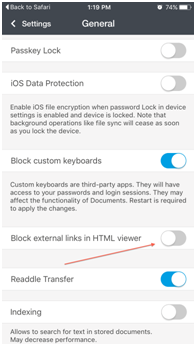 Under the General settings, deselect “Block external links in HTML viewer” so the button is grey not blue. 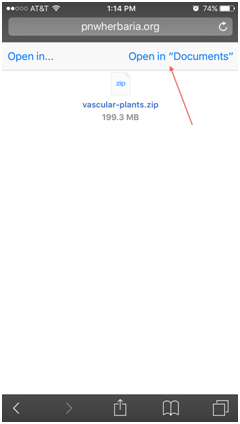 If successful, the mobile datasets index page will be displayed, providing access to the vascular plant species lists and pages. 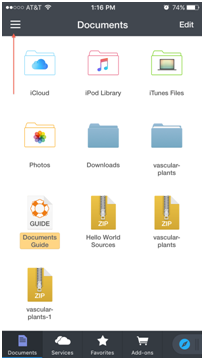 Please note that the "Documents" app does not appear to remember which page you were last viewing. 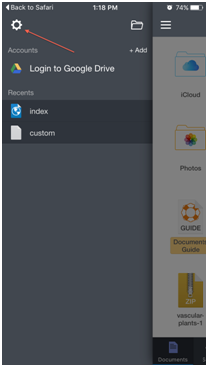 If you leave the app to use another app, then come back, you may need to start over at the index.htm page.